Hi! Hope everybody is doing well in life. When we make kabab with diced meat, Marination is a big thing. If meat is not marinated well, we will not get tender kabab. Kabab should not be overcooked. Overcooked kabab is dry and chewy. For marinating kabab we need something to make it tender. 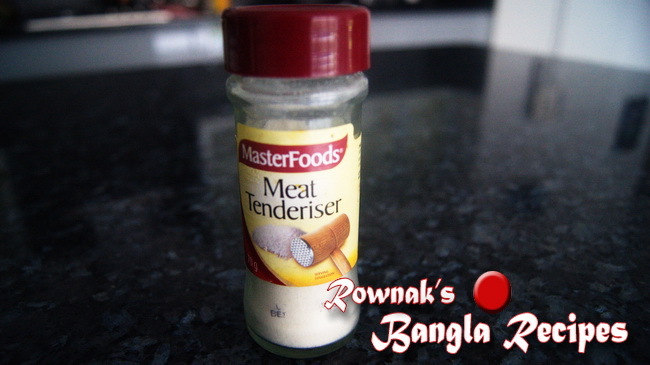 In Bangladesh Papaw Paste is the most popular and common meat tenderizer. But for me papaw paste is not handy (because green papaw is not very available and making paste is time consuming). I looked at spice section in supermarket and found meat tenderizer with works like miracle. I used all spices here powder or paste form. Though spice list is long for this recipe but it is a very easy recipe. Hope this easy kabab will bring smile on your face. . With lots of love thanks again and don’t forget like my facebook page or join my facebook group to keep in touch with me. 1. Wash the meat and pat dry. We don’t want any excess water in meat. 2. Mix meat with all ingredients and let it marinates for at least 1 hour. 3. Skewer the marinate meat and cook it on barbeque or pan or in oven till meat becomes tender. 4. 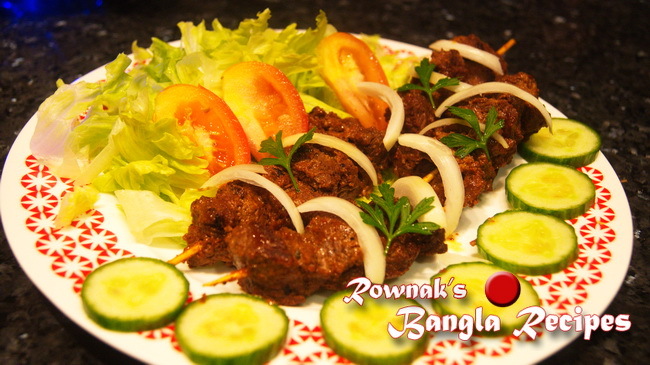 Serve hot Boti Kabab with salad. Thanks for the Boti Kabab recipe. Can you please tell me if I cook the kabab in oven, then what should be the temperature?